What? Why? PvP???? Because in Warlord’s PvP gear is pretty good for some levels of PvE. Not the best, but it’s a good start. And it’s easier and faster to get a full set, or at least a few pieces that you really need, than any other method. PvP gear has two ratings, one for PvP and one for everything else and it’s the latter that we’re interested in here. There are actually three tiers of PvP gear: Wild Aspirant (625 PvE,) Wild Combatant (the Honor gear, 675,) and Wild Gladiator (the Conquest gear, at 700.) If 675 or 700 is an interesting upgrade to your gear then go for it. You can get gear via your Gladiator Sanctum in your Garrison, boxes won in Ashran and the Battlegrounds, and the usual accumulation of Honor and/or Conquest points that are then spent at a Vendor. The Sanctum and boxes will sometimes award an random item of Aspirant or Combatant gear. Conquering the enemy base in Ashran will award a box that probably has a piece of Conquest gear. If it’s a bad group then just leave, wait for the “you will be disinvited” note to time out, and go back in. With luck you will be in a better group, just remember that the group assignment is random. Some people really don’t like Ashran, but it’s no worse than trying to level in a PvP server when there are gankers about. If you’re in a weak or bad group then you won’t be doing much. If you are in a good group then it can be fun. Just follow the lead, stick to the group like glue, and you can get a full set of 670 gear much more quickly than any other way. Then you’ll have a decent set with which to enter Tanaan, and that gear will be 710 when the ganker attacks. Everyone loves all those Apexis daily quests, right? Well, Tanaaan brings you more of them. You collect a pile of crystals and use them to buy upgrades (to 695) for the ilevel 650 gear tokens that you’ll be picking up from the mobs/rares you kill in that place. Don’t bother to buy the tokens as you’ll find them often enough. You can get the crystals through your garrison and shipyard missions, killing stuff, and your dailies. Save ’em up, buy an upgrade. Rinse and repeat. Naturally the time honored method of getting your PvE gear is through dungeons and raids. Kill things, stuff sometimes drops, and sometimes it’s the right stuff. And the right bits always drop for the slots that you really want them for, right? Well, that’s why you do the PvP, Apexis stuff, and spend gold at the Auction House. Or make your own items. Crafted armor is item level 640 and can be boosted (if you have plenty of gold) to 715. The weapons are 630 and can be boosted to 705. You can also buy or make items that will reroll stats on this gear until you get just what you want. See our profession pages for details on these items. If you have the gold then it’s a good way to either get started with your gear or fill in some holes. The weapon and then two big pieces of gear (head, chest, or legs) are the best way to go, for the stat values. Engineering makes guns and self-only googles of mightiness. It also makes some cool rockets and shields, which can’t be used in raids or rated PvP, but which can be used in Tanaan and Ashran. Inscription makes caster items and some trinkets. Blacksmithing makes weapons and plate armor. Leatherworking for leather and mail armor. Alchemy for a pretty nice self-only trinket. Jewelcrafting can make nice nice neck and ring items. 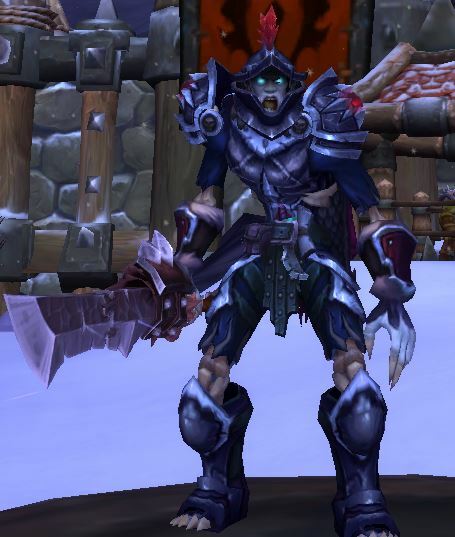 He does a pretty nice job of explaining just how to get geared ASAP in Warlords 6.2. It’s not a “best in slot” guide, but it does tell you how to get nicely geared so you can start raiding without being hopelessly outclassed. See the menu at the top of the page for our individual class guides. If you found this page interesting then feel free to share, thumbs up, and/or leave your wisdom or thoughts in a comment.